From standard series to modular systems. 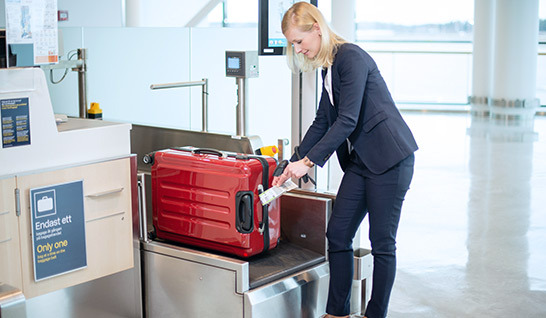 With a baggage drop-off time of less than 30 seconds, our self bag drop solutions for airlines, airports and groundhandlers allow passengers to enjoy a maximum of flexibiliy and convenience and to save lots of time as well. As a pioneer in self-service baggage drop-off we have continuously improved our systems and are the proud provider of Europe´s largest automated bag-drop installation at London Gatwick Airport. Our systems are extremely flexible: they can even handle groups of passengers and provide built-in payment services for excess baggage. Our self-bag-drop solutions are CUSS- and CUWS-compliant (IATA RP 1706c and RP 1741) and support multiple airline departure control systems (DCS). We support all options for one- and two-step baggage processing (kiosk, retrofit and off-airport) and offer our customers a huge variety of solutions from our standard series as well as our modular construction system. Whenever airports expand, restructure or build new terminals they benefit from our Greenfield Solutions. 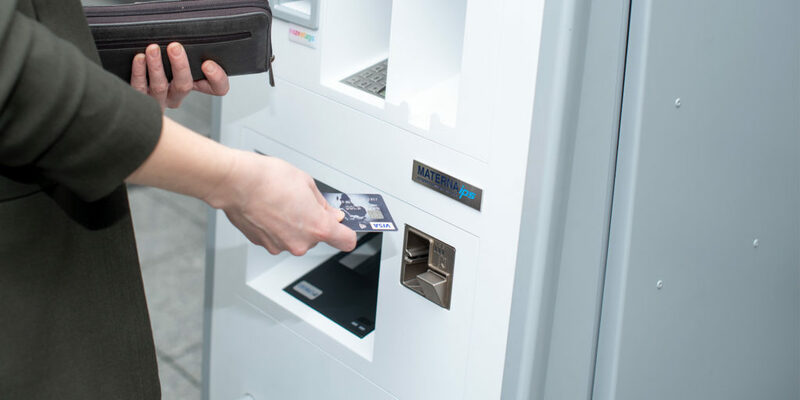 Our standard series provides fully automated kiosk systems which can be integrated into existing infrastructure or be used in brand new terminals. Equipped with modern technology and components they fulfill the highest security and design requirements. The Air.Go series delivers innovative and self-service bag-drop solutions for airports and airlines with a prize-winning Scandinavian design. According to our modular approach they are available as one or two-step solutions, with single or double units, front or side-loading capability and automated bag-tag identification. They are designed either as modular wall-mounted or free-standing systems for easy customization and integration. Components such as scanners, printers, sensors, etc. can easily be customized to fit your airport‘s requirements. The Air.Go is designed by our exclusive product designer Marcus Pedersen in Scandinavia, awarded with the German Design Award 2019. Wall-mounted, two-step solution, front-loading, scanning on the move, second step only. Our Air.Go (A) is a wall-mounted solution for a typical two-step baggage drop-off process. The lean design fits perfectly into the airport terminal. Checked-in passengers have already printed out their bag tags at a kiosk and use the Air.Go system to drop-off their luggage easily and quickly. Only a few clicks on the touch screen and the bags are ready to go. With integrated scanners, the system scans the bags on the move. Freestanding two-step solution, side-loading, standstill bag-tag scanning, second step only. Air.Go (B) replaces the traditional check-in counter resulting in a more efficient and streamlined process with no queues. The awarded design fits perfectly into the terminal and is available as a two-step solution, in single or double units, and with the possibility for bag tag identification. This version is designed as a modular system for easy customization and integration into the airport. Having to use just a few clicks on the intuitive menu, passengers benefit from a fast and comfortable drop-off process. Freestanding one or two-step solution, side-loading, standstill bag-tag scanning, one and two-step. Our Air.Go (C) is a fully automated self bag drop system for airports with new or restructured terminals. 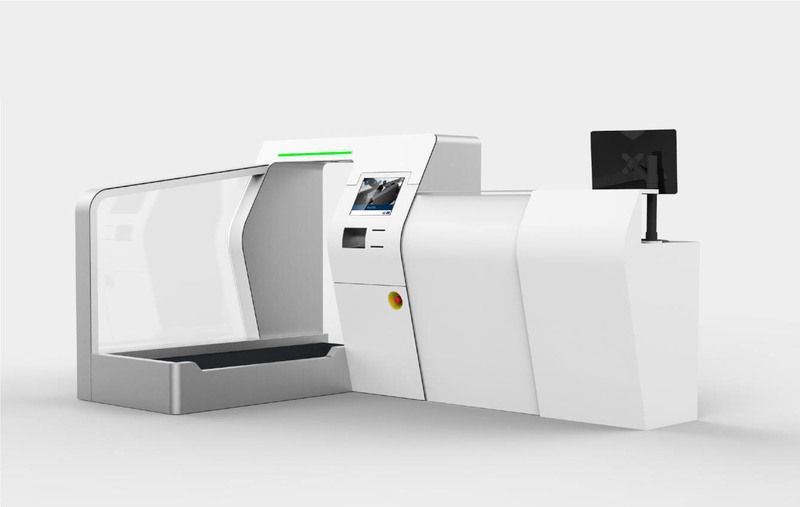 It replaces the traditional check-in counters and helps to increase capacity and throughput significantly. It is available as a one- or two-step solution, in single or double units, and with the possibility for bag tag identification. Air.Go (C) is designed as a modular system for easy customization and integration into the airport. Hardware like scanners, printers and sensors can be easily customized to fit the airport’s requirements. The systems can be installed in a row or an island within the terminal and peripherals, such as counters or tub dispensers, can be added from our modular construction system. Additionally, the systems can be equipped with payment and biometric functionalities. Our Pax.Go series includes kiosk versions to meet individual airport requirements. The kiosks we offer are solid and robust systems for handling both check-in and self-bag-drop with the highest possible technology standards. Pax.Go kiosks are available with completely customizable color schemes. With integrated components for reading, scanning and printing they are industry grade solutions for continuous operation. A great way to start a trip for your passengers. When airports and airlines want to use existing check-in counters for self-bag-drop we can offer a variety of retrofit solutions to handle quick and easy baggage drop-off. These systems are easy to fit and are perfectly suited to the airport environment. Our Drop.Go series provides freestanding self-service bag-drop systems for quick and easy one or two-step processes with optional printing. The solutions are easy to fit and integrate into existing check-in counters without making any changes to existing hardware installations and are equipped with an intuitive application and touch display. Freestanding self-service bag-drop for quick and easy two-step processes. Passengers print out their bag-tags at a check-in kiosk before they use the Drop.Go station to drop off their luggage. It consists of easily fitted self-service stations to add to existing check-in counters. Here, the passenger just scans the bag tag and the bag is ready to go. More than 10 million bags have already been checked in using this Drop.Go (A) version. Freestanding two-step self-service bag-drop with integrated printers to print out bag-tags. This solution can be fitted quickly and easily to provide self-service stations at existing check-in counters. It is equipped with printers and hand scanners. The smallest version for self-service bag-drop. With a light and transparent design Drop.Go (C) has been developed for 2-step processes and can easily be mounted on existing check-in counters without any changes to hardware installations. Passengers who have already printed out their bag-tags use the hand scanner to read their tags and take just a few seconds to drop off their luggage. More and more passengers check in from their smartphone or computer before arriving at the airport. Tag.Go is designed to make the bag-drop process even easier and faster for these passengers. Passengers simply scans their boarding pass and print the bag-tag. The elegant, user-friendly design matches our Air.Go bag-drop series. The famous Scandinavian product design by Marcus Pedersen gives the Tag.Go its clean and modern look. Modular construction system – choose the perfect fit! To build the best fit into the terminal environment we offer solutions on a modular construction approach with different peripherals and individual product add-ons. These systems can be installed in a row or as an island to give passengers the utmost convenience and flexibility while also making the best possible use of the existing space and fill gaps between single units. 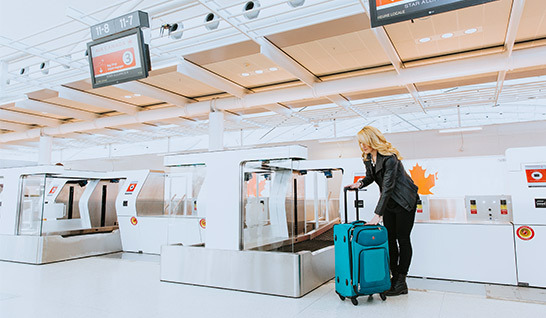 The Air.Go series and their peripherals such as counters, glass doors or tub dispensers provide an elegant design to create an individualized baggage drop-off area in the terminal. Tub dispensers or counters for hybrid operation, maintenance or paper storage can easily be integrated between the Air.Go units. This provides a consistent design with multiple functions. With the possibility to test products in advance using VR, and to create concepts for integrating them in airports, we are pleased to offer airports and airlines with a special user experience and effective prototyping. 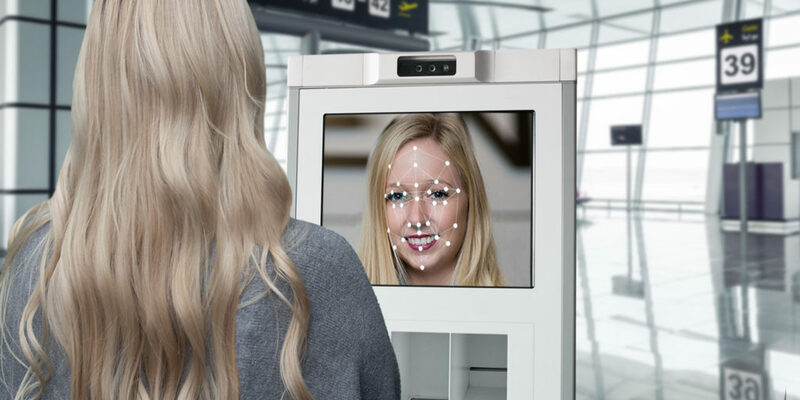 Intelligent Passenger Solutions help to make passenger handling more efficient and to increase the capacity utilization of resources for airports and airlines. Renowned international customers have already put their trust in our expertise.